Newark, NJ has always boasted a powerful and creative LGBT/SGL community. It is only recently, in the wake of Sakia Gunn’s death in 2003 that local activists have agitated for and successfully won recognition from the government sector to create the city’s first, African American Office of Gay Concerns and now the city’s first, Advisory Commission on LGBTQ Concerns. In this profile Darnell Moore, Chair of the Commission outlines its main goals, vision and next steps. 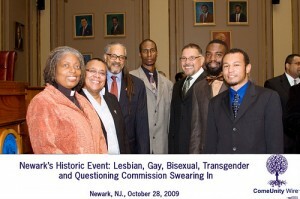 Citizen Council | What are the goals of Newark’s LGBTQ Commission? Darnell Moore | The Commission was established to advise the Mayor’s Office on issues relative to the LGBTQ citizenry within the city of Newark. Our primary goals at the moment are to firm up our structure, increase the public’s awareness of our existence, develop a few relevant subcommittees (i.e. youth and family; public safety and internal review) that are jointly composed of Commissioners and citizens, and to establish–in conversation with constituents–a short-term agenda for our policy advisement work. Citizen Council | What are the unique challenges that Newark faces? Darnell Moore | Newark is a diverse municipality; however, it seems fair to say that we must develop stronger ties across racial, ethnic, socio-economic, religious and age lines. In fact, difference seems to keep many people who identify (or not) as LGBTQ/SGL from uniting around shared LGBTQ concerns and joining together to execute a shared advocacy platform. So, I would say that one of our most pressing challenges, at least at the moment, is doing the work of bringing the many communities–within the larger LGBTQ community–together. Citizen Council | In what ways are the needs of Newark’s LGBTQ population the same or different from other cities? Darnell Moore | Newark is a city that maintains a complex, yet remarkable, context. Like many other urban (and suburban or rural) spaces, we have had our share of hate crimes. To be sure, the tragic death of Sakia Gunn, a 15-year old lesbian who was stabbed to death because she rejected the advance of an adult male, was the catalyst for a resurgent LGBTQ movement in the city of Newark. 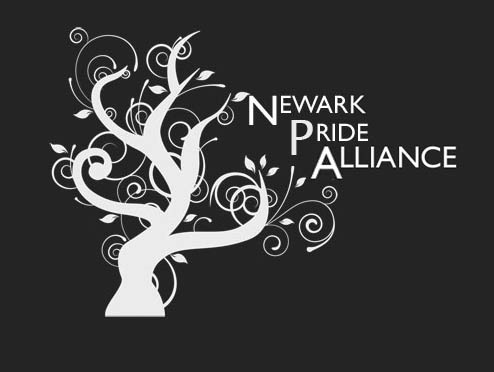 The Newark Pride Alliance itself is an outgrowth of that moment. So, I would say that one of the primary needs present in Newark is the need for safe spaces, that is, physical spaces (i.e. LGBTQ community center; youth out-of-school time program; entertainment and cultural venues; etc.) and abstract spaces (i.e. culture of acceptance throughout the city; transformed minds; alternative and affirming theologies; etc.). We are home to a few longstanding organizations like Liberation in Truth Fellowship and the North Jersey Community Research Initiative’s Project WOW as well as annual events like Newark-Essex Pride Week, but we have some ways to go in terms of bringing this vision to scale. Citizen Council | How does the work of the LGBTQ commission connect with the other work that you do? Darnell Moore | I’ve been an active member of the Newark Pride Alliance and the Newark-Essex Pride Coalition since I moved to Newark a few years back. But I am also very committed to drawing the connection between the various social justice issues that we must jointly address in Newark. Because of that, I also volunteer with the New Jersey Women and AIDS Network, Stop Shootin’ Inc., and the Newark Youth Policy Board and serve as a Fellow of Leadership Newark. I understand all of the various issues addressed by each of the groups as connected concerns that should be addressed in concert. Citizen Council | How can Newark community members get involved and support the initiative? Darnell Moore | Simple. Email the Commission at newarklgbtqcommission@gmail.com. The Commission is in the process of formalizing our sub-committees and is looking for potential committee members. In addition, our meetings are open to the public. There is a space dedicated specifically to public input. This interview is with Darnell Moore, chair, it was done by email January 2010. It wAs conducted by Noelle Lorraine Williams.